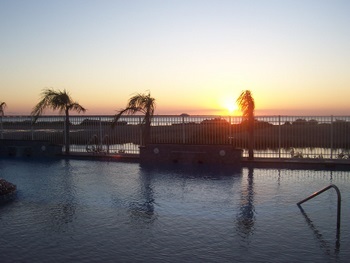 South Padre Island is a veritable paradise with its balmy weather and spectacular sunsets. 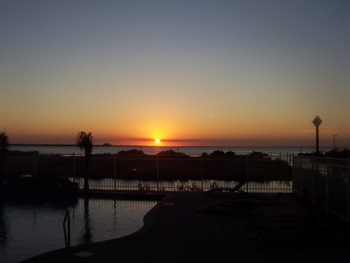 Golden, spectacular sunsets are the norm here. 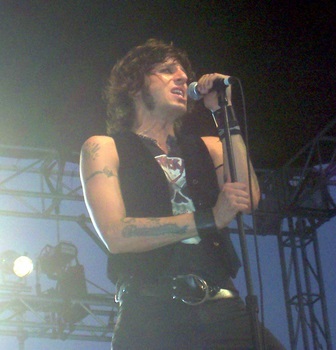 What is out of the norm is seeing really great big name rock-n-roll bands. 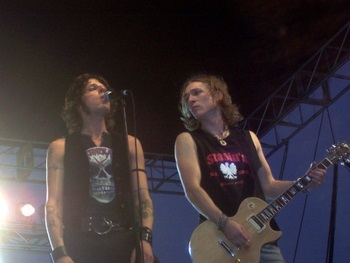 The Last Vegas played at Schlitterbahn and tore it up! 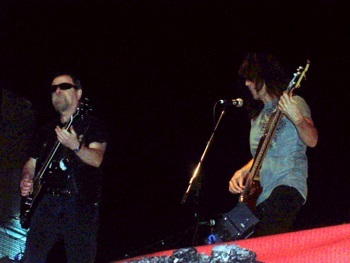 This was a high energy rock band. They were from New York and had everyone screaming, jumping around and banging their heads. 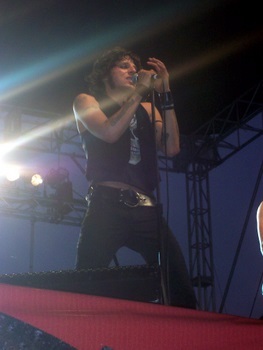 and boy were the girls screaming for him! 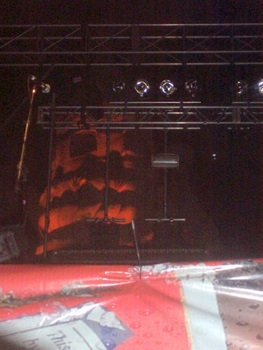 I noticed that the huge red face with the dark, empty eyes looming over the crowd was only the sandcastle lit up in red. 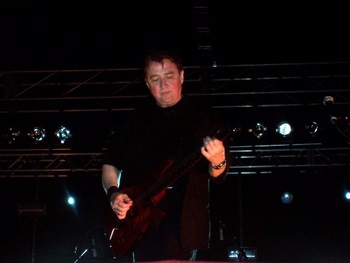 The highlight of the night was seeing Blue Oyster Cult Saturday night. 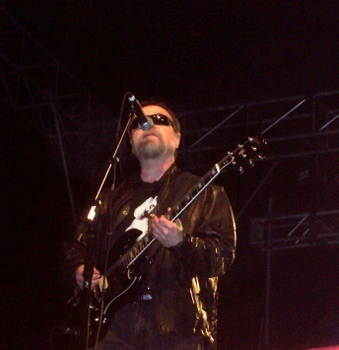 Eric Bloom (above) was on vocals, rythm guitar and keyboards. 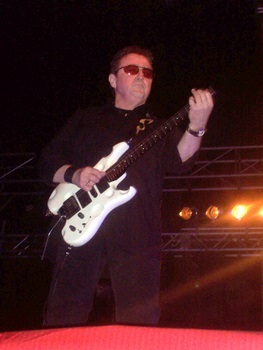 The famed Buck Dharma made his excellence on guitar look effortless. 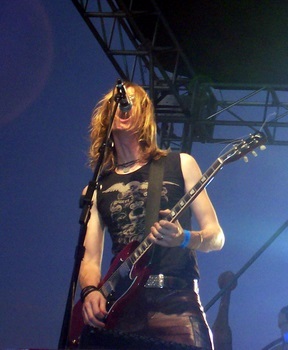 He kept the crowd mesmerized with his guitar mastery. When they played, “Godzilla,” the crowd went wild. “Don’t Fear the Reaper” had everyone singing along. 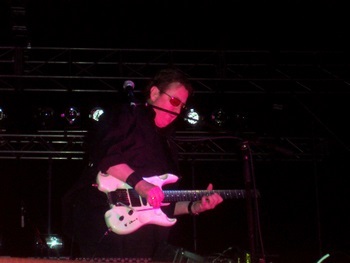 Buck Dharma was nothing less than awesome. 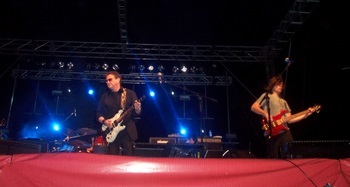 Their presence was made possible because of the South Padre International Music Festival. SPI International Music Festival – Battle to the Beach Winners Announced! Hand me the envelope please… and the winner of the “Battle to the Beach” is… Liberal, a Spanish rock band from San Antonio, TX. I must admit, I have been listening on each one of the bands that are participating in the music festival that is coming to the island on Halloween weekend and they are all good. Most have videos posted on http://www.youtube.com/. Different genres are represented and that is what is going to make this years festival appeal to everyone! If you like bluegrass, they got it. If you like country, they got it. If you like spanish rock, they got it. If you like reggaton, they got it. Techno, ditto. Soul-wrenching love songs, ditto. If you like big names, they got it. Ever since I clicked on Blue Oyster Cult’s “Godzilla”, I haven’t been able to get it out of my head. There will be such awesome groups there. Aside from famous people like Albert Besteiro, Foghat is coming and of course, the main man will be here, Willie Nelson. There isn’t anyone alive who doesn’t like Willie Nelson. There are so many great musicians slated to play, how am I going to see them all? I can’t wait for this year’s festival. Hurricane Dolly came, looked around and said, “Hmmm, this place is really beautiful, better not mess it up too bad,” so she pushed over a few trees, kicked over some garbage cans and rudely left a trail of debris and let the door slam on her rear. She is gone. Time to enjoy what is left of the summer and look forward to doing all we can to make this music festival a success. I can’t wait to see all the bands! See you there!